My son is officially on summer break! *tear* He's growing up too fast! We've got a pretty exciting summer planned - including spending two days each week with my nephew and nieces! 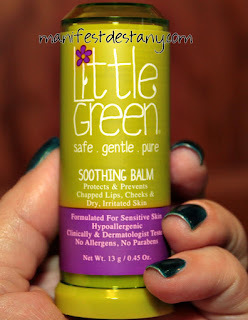 And speaking of which, I have my baby niece's chubby cheeks to show off today - as I review Little Green Soothing Balm. Baby Eliza has eczema, the poor thing, and sometimes her cheeks can get downright rough. See how red and irritated? It just breaks my heart. So I decided to test out the balm on her cheeks. Her skin is super sensitive, so I wanted to try this out on her to see how it would affect her skin. We'd tried the Little Green Baby Wash on her, and it was just fine :) So let's break it down, shall we? Little Green Soothing Balm is formulated with Beeswax, Jojoba, Evening Primrose and avocado oil. It has the consistency of a Chapstick or other lip balm, but the tube is much bigger. That allows for better coverage of the area you are treating. Safe and gentle, this balm is formulated for sensitive skin and is hypoallergenic. It's free of parabens and allergens and is also gluten free. It's not tested on animals and is made in the USA, and has also been tested by dermatologists. I smoothed it across her little, red cheeks and she giggled with delight when I did. I don't know if it tickled or made her cheeks feel better, but I'm choosing to think it made them feel better! hehe After a morning application and a late afternoon application, I sent the tube home with my sister-in-law so she could use it on Baby E's cheeks. 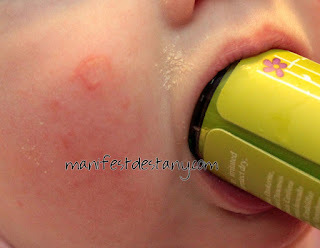 My SIL used this on the baby's cheeks every few days for two weeks and the end result is so nice! Bottom line: Excellent product! 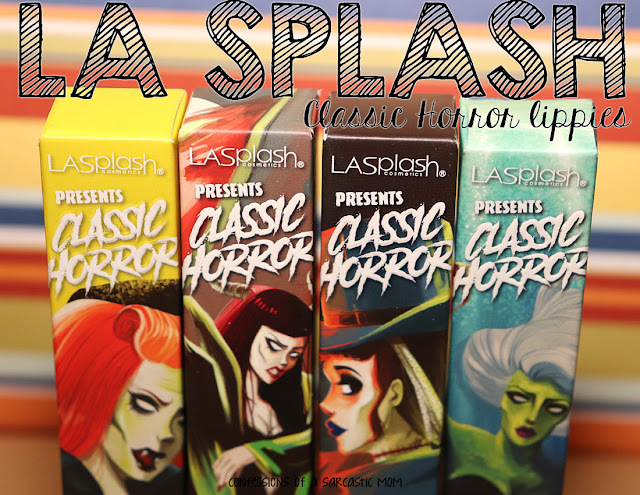 The balm is easy to use and doesn't leave the skin feeling slick or gritty. It made my niece giggle when I applied it, as well, which leads me to believe she enjoyed it! You can purchase this product from the Little Green website for $14 per tube. You can check out Little Green on the web, Facebook and Twitter.